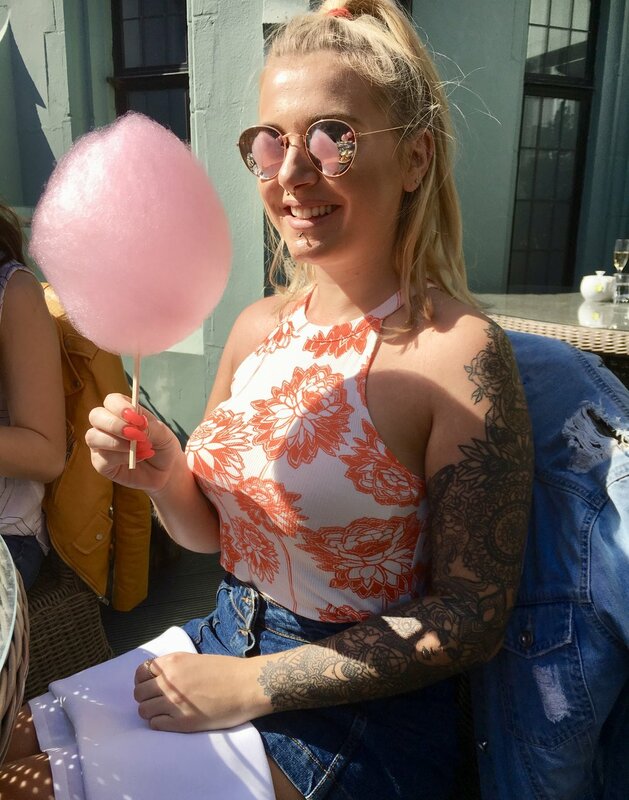 Whilst thousands took to the streets to run, walk, or just motivate – I sat on a sun terrace at the Hotel Du Vin and basked in 21 degree sunshine whilst sipping on tea, gin, and champagne. 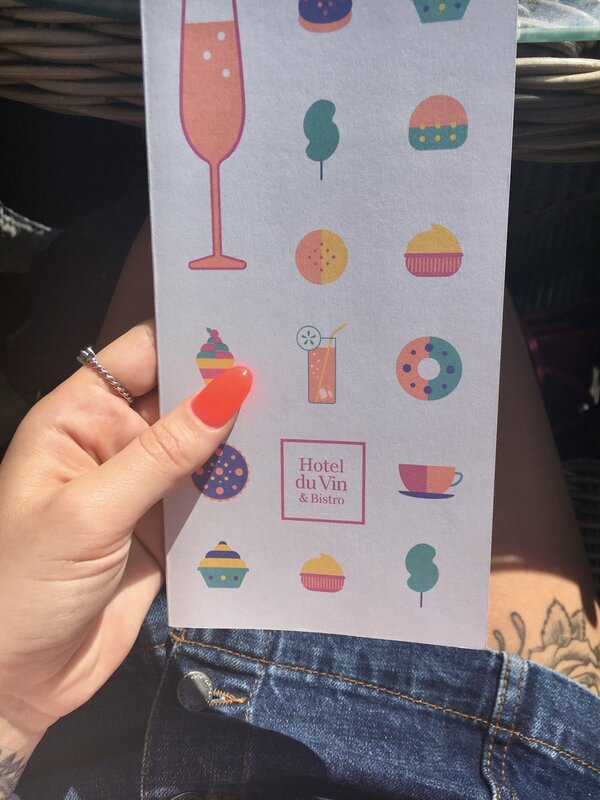 Myself and fellow bloggers – Beckie Nye , Georgia Knight and Georgia (The Brightoner) – were some of the lucky few to be invited to Hotel Du Vin for afternoon tea… and it was a perfect day for it! We started with a glass of champagne (because how else could you start?!) whilst we chose our teas. I’m a bit of a newbie to tea, as I only drink green or peppermint, but I chose well with a gorgeous elderflower and blossom Darjeeling. I am obsessed with elderflower, and the menu said that Darjeeling is the champagne of the tea world so I HAD to choose it. 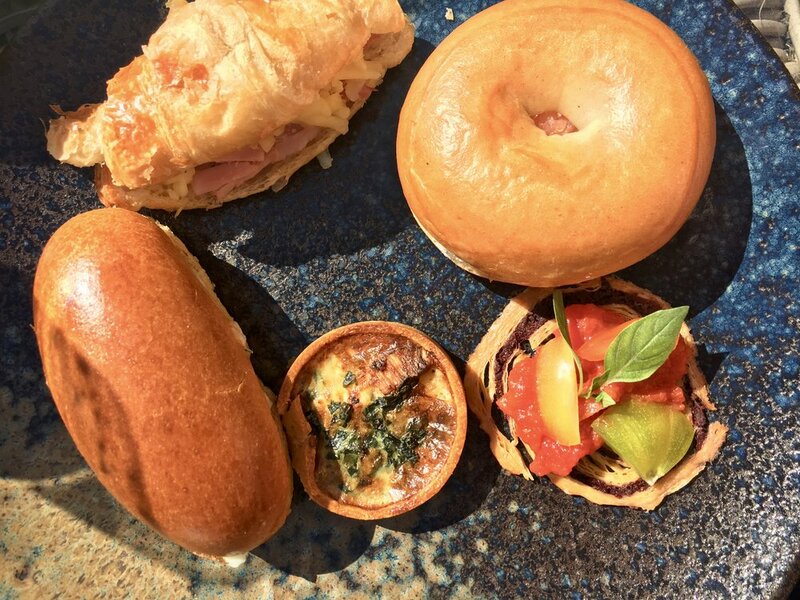 Rather than being bombarded with finger sandwiches, Hotel Du Vin provide a selection of a mini smoked salmon and cream cheese bagel, an egg and cress brioche, a ham and Gruyère croissant, a tomato and tapenade galette, and a goat’s cheese and spinach tart. The highlight of the savoury section was the goat’s cheese tart. The pastry was perfect! We finished the tea with one of their gin concoctions. 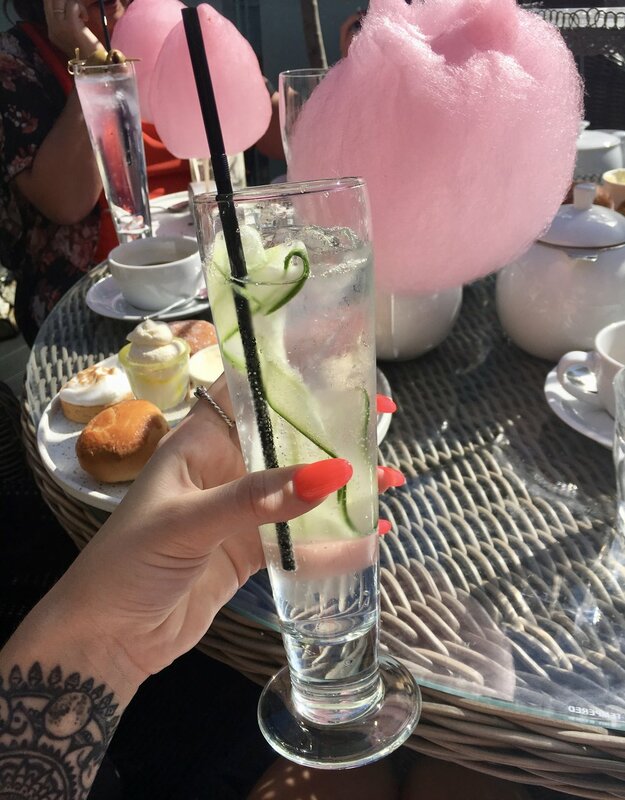 I went for a Hendrick’s and Elderflower Tonic, served with a cucumber garnish, as I have fond memories of enjoying a bottle of it last summer with someone special. It was a really beautifully thought out afternoon tea, and the drinks pairings were perfect. I definitely recommend visiting the Hotel Du Vin when you’re next in Brighton! 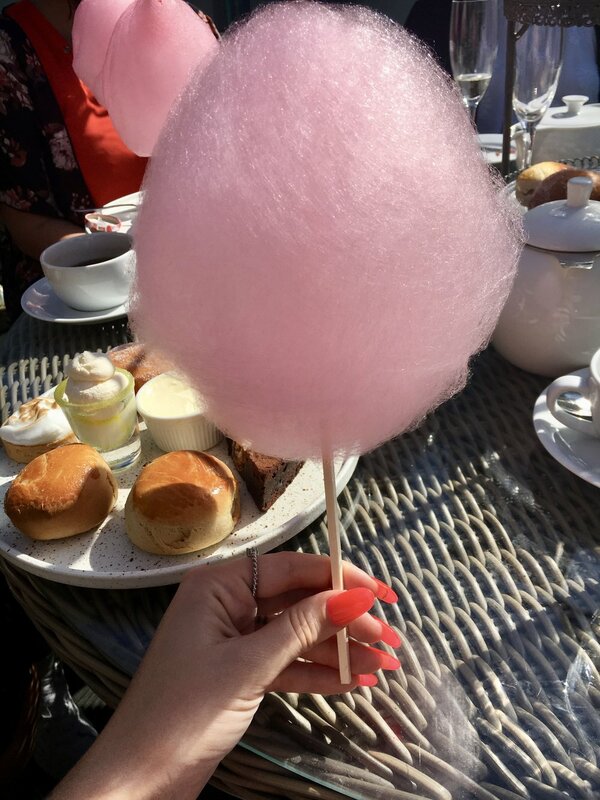 I don’t think there has been enough candy floss in my adult life! I may create a petition to make the world a brighter place by introducing candy floss prescriptions on the NHS! 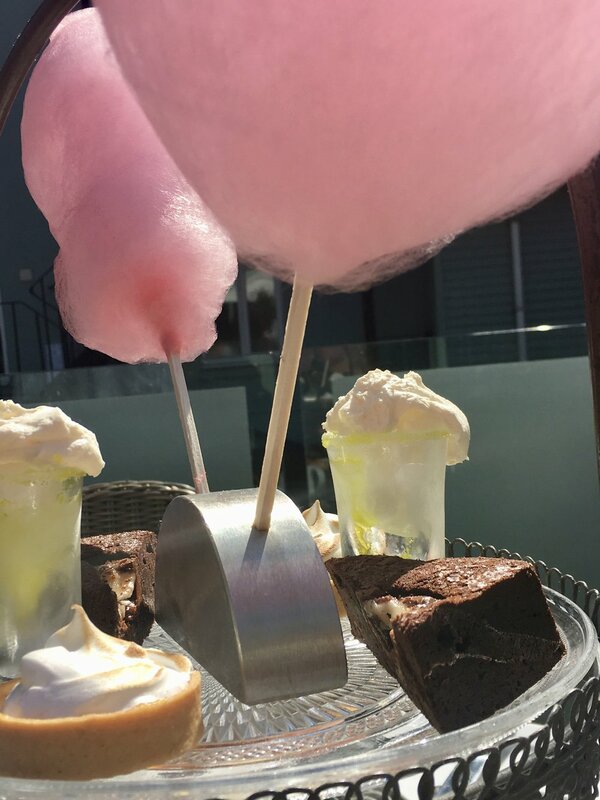 *I was kindly invited by Hotel du Vin to try their afternoon tea, all opinions are my own. Next Post Stilton on a pizza?